Tripps Travel Network understands that packing for a trip can be an art form. Some people are excellent at it. There are also people that always seem to forget to pack something. Some people pack way too much out of fear that they may need something and they would not have it. To make sure that you have everything you need and do not have too much stuff when you are traveling follow a few simple tips from Tripps Travel Network. Tripps Travel Network Asks Do You Really Need to Pack That? Create a travel list – This list can be very generic and can be used for all types of traveling that you do. It should include the necessary things that you need when you travel such as clothes, toiletries, and phone chargers. The list can be adjusted depended on the length of travel and where you are traveling to. Keep travel-sized containers on hand – Instead of taking a big bottle of shampoo use a small bottle that will last you for a few days. Make sure you store these bottles in a place you can find them when you are not traveling. 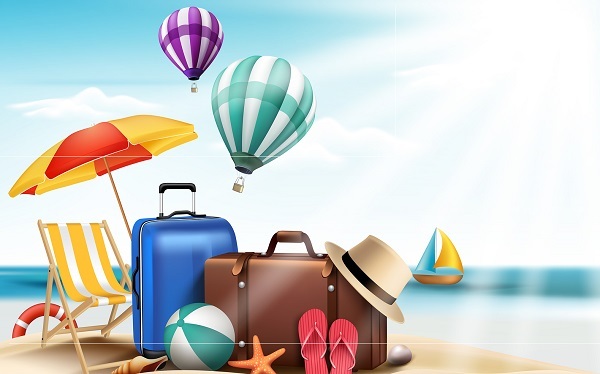 Evaluate your packing list when you return – Tripps Travel Network knows that this is the best time to make adjustments based on what you used and did not use while you were traveling. Ask if you need to pack that – As you are loading up your suitcase, ask yourself that simple question. If the answer is no, don’t pack it. If you are not sure, you may pack it, but look at what to use when you get back to learn how to pack more efficiently in the future.